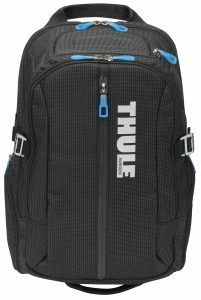 Thule is a Swedish company, founded in 1942. The company contains of a passionate group of outdoor people who share their passion helping active families and enthusiastic outdoor folks. Thule makes sure your valuable luggage will be transported safely, easily and in style. We offer Thule suitcases and bags, backpacks and laptop sleeves at Leather & Travelgoods and Outdoor & Travel – Schiphol Plaza.